International Polka Music Hall of Fame® Kevin Adams! International Polka Music Hall of Fame® Kevin Adams! Kevin Adams has played with many of the very best including Eddie Blazonczyk's Versatones and Lenny Gomulka and the Chicago Push. 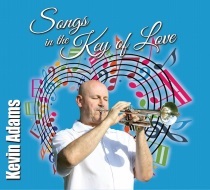 Check out this 2nd CD featuring Kevin Adams!